Rŏṅ lazŏṅ rokkā : Rŏṅ lazŏṅ ñātbo by Ḍī. Ke. Luksŏm. 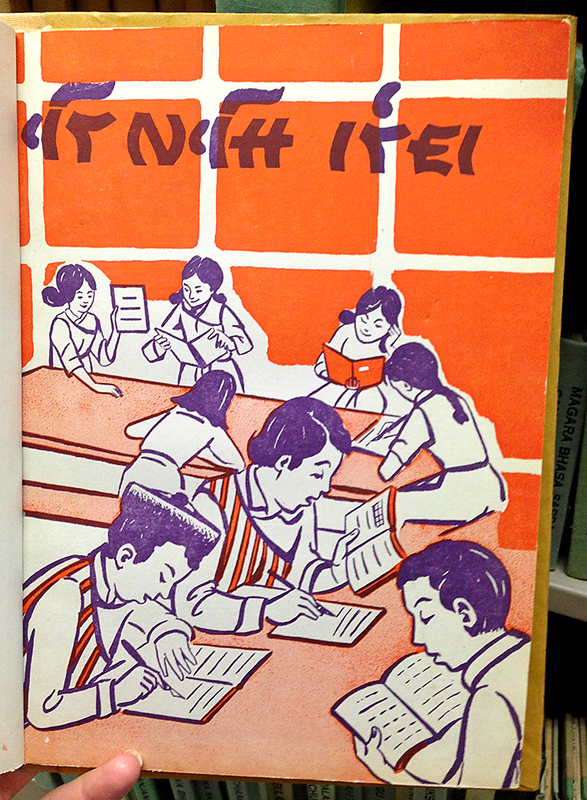 Gāntok : Renjoṅ Cho, Yăntănsa Boṅchī, Lyāṅnun Plyuthoma, 1977. From the University of Chicago Library. 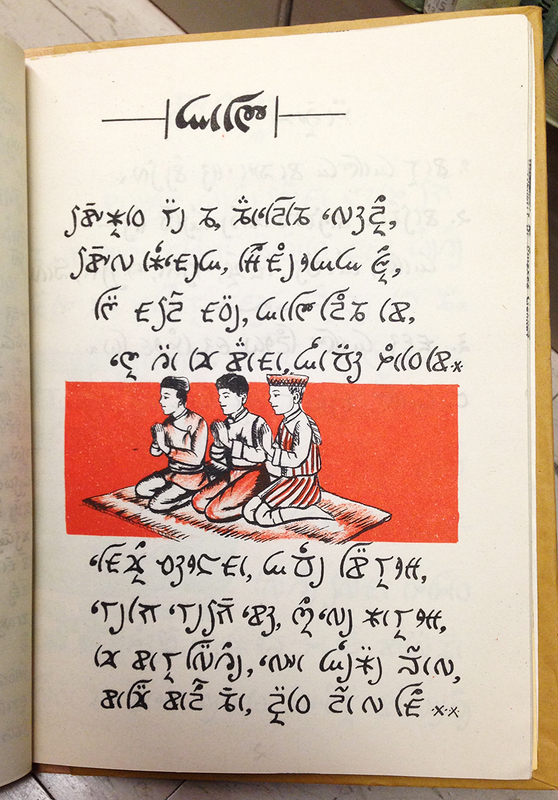 Ron Lazon Rokka (“Let’s learn Lepcha”), by D.K. Lucksom. This was a great find – I hadn’t seen any Lepcha material yet in-person. 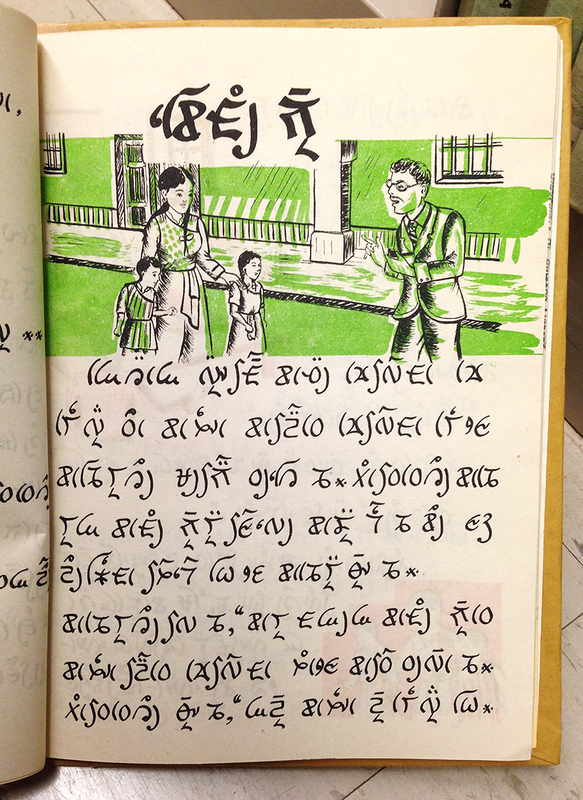 This is one of a series of workbooks for young students of Lepcha; also known as the Róng language. It is part of the Sino-Tibetan language family, and is spoken by the Lepcha people in Sikkim (as well as small numbers in West Bengal, Nepal, and Bhutan). They are considered indigenous peoples of Sikkim, a population of only about 30-50,000 (as recorded by the Indian census). Only some of the consonants appear in syllable-final position, and when they do, they are written as diacritics (Omniglot has an example of this here). Initial vowels do not have separate (isolated) letters, but are written with a common “zero-consonant letter” which the vowel diacritics are added to (Example of this can be found on Ancient Scripts, here). Lepcha is believed to be derived from the Ume variant of the Tibetan script.